These comic strips detail the adventures of the Plant Heroes team and their invasive species foes. 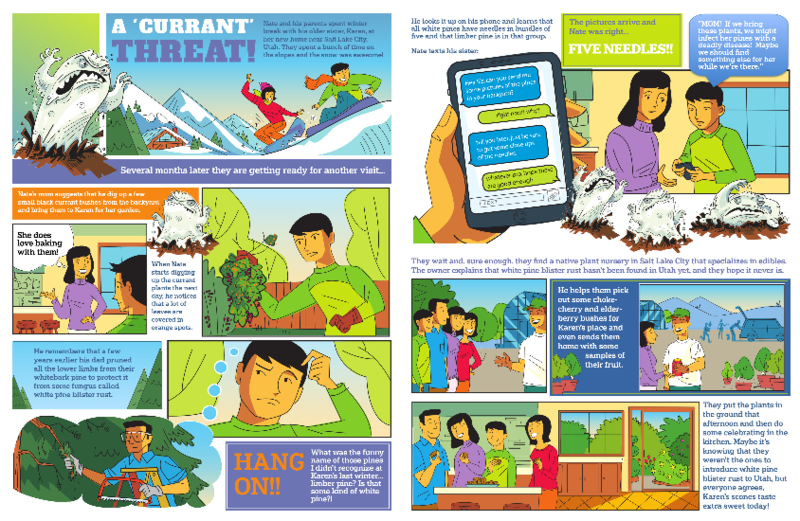 The colorful comics provide real-world, positive outcome-based scenarios of how young people can help stop the spread of seriously bad bugs and diseases! Click on the A 'CURRANT THREAT' comic below to find out how Nate Green defeats a risky invader! The Plant Heroes are four young adults who share a love of nature and interest in science. The American Public Garden Association has heard about their passion and invited them to join together as a "super team" to detect and combat bugs and diseases that harm plants and ecosystem health. 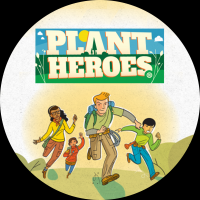 The Plant Heroes scout for these threats and report suspicious sightings to their county extension or local forester, who contacts officials and provides mission details and scientific supplies in order to defeat the bad bugs and diseases.